Heather Dessinger 28 Comments This post contains affiliate links. So, you’ve heard before that activated charcoal whitens teeth naturally, but at the time your “to do” list was full of more pressing things, like finding coffee and everyone else’s shoes . . . 367 days in a row. I get it, and I also know that those coffee stains catch up with us after awhile. That’s why today I’m going to share with you the easiest way to whiten your teeth with activated charcoal, even when your schedule is super busy. 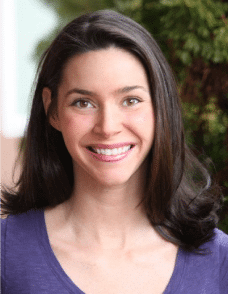 How does activated charcoal whiten teeth naturally? Activated charcoal is like a Swiss Army knife for natural living – it’s used in hospital emergency rooms to treat poisoning, helps with itchy bug bites, and is even used in water filters to remove bacteria, heavy metals, and other stuff. Activated charcoal’s tooth whitening superpower comes from it’s ability to naturally lock onto organic compounds like tannins, which are the dark polyphenols in coffee, tea and wine that stain our teeth. I’ll admit, as someone who used to pop in whitening trays several times a week I was skeptical, but give it a chance and you’ll be amazed. When applied orally, activated charcoal draws those surface stains out and binds with them, then carries them away when we rinse. Fortunately, it’s not particularly interested in calcium, copper, iron, magnesium, inorganic phosphorus, potassium, sodium, zinc and other mineral you probably want to hang onto (including your enamel), so no worries there. How long do you leave activated charcoal on teeth? In other words, how long is this going to take? The answer is about 3-5 minutes – I’ll explain more in the how-to section below. Now here’s the secret to making this work in real life: Whiten your teeth while doing something else, such as . . .
That way you never have to find the time to do one more thing, you can just work in a little self care as you go about your life. **Bonus Bonus Tip: You can also whiten your teeth with turmeric. Yes, you will look like you stuffed your face with Cheetos, but it really works and I’ve found rotating activated charcoal and turmeric seems to create the best results. Does activated charcoal have any other benefits for oral health? No studies have been done that I know of, but this study found that ingested activated charcoal bound more strongly to e. coli than the normal (beneficial) bacteria found in the digestive tract. I personally wonder if it might do something similar for the mouth – drawing away unwanted bacteria while basically ignoring the good bacteria. 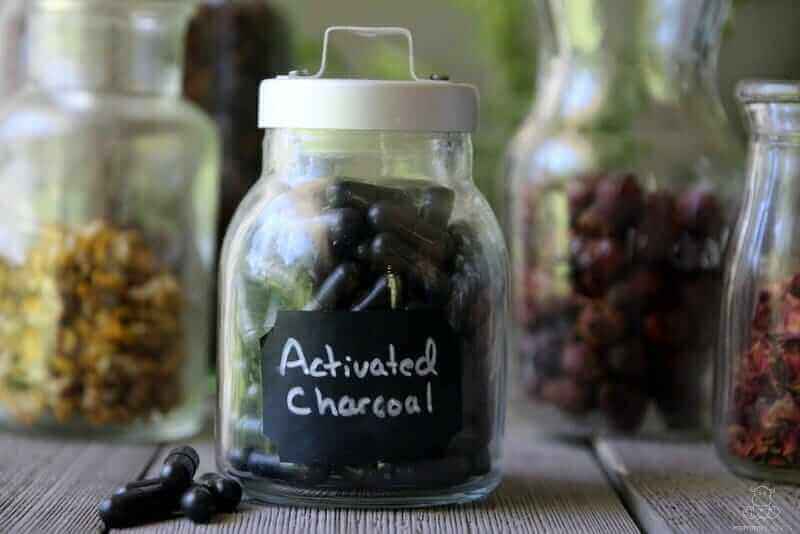 What kind of activated charcoal should I use? I like this kind because it’s made from coconut shells, which is more porous (meaning it adsorbs better) than hardwood derived activated charcoal, and it’s considered environmentally friendly. Step 1: Brush your teeth. Activated charcoal will bind with any plaque that is on the surface of your teeth instead of the stains you want it to draw out. I usually brush with plain baking soda right before a whitening session. Step 2: Open a capsule of activated charcoal (about 1/8 teaspoon) and pour it into your mouth. Using your toothbrush, gently spread it all over your teeth. Keep in mind that you are not trying to scrub your enamel, you are simply massaging the surface of your teeth with the activated charcoal so that it can attract stains like a magnet. Let it sit for 3-5 minutes. Longer is fine, but it becomes challenging not to swallow. It’s totally okay if you do, though. Just keep in mind that activated charcoal can absorb vitamins and medications, so don’t ingest it within a couple of hours of taking those. Step 3: Spit and rinse thoroughly, then follow with a second brushing using your regular tooth powder or tooth suds. Now look in the mirror and smile. 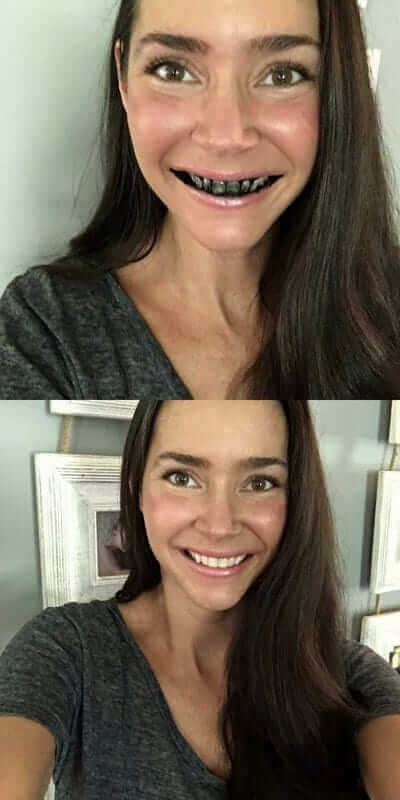 You may see a difference with the first application. If not, give it a few days to a week and I promise you will! Can we buy activated carbon anywhere? I haven’t really searched around but can you recommend a good place to buy it from please. I don’t want to buy some and it end up being contaminated or just plain ineffective. Thanks for another great post by the way!! 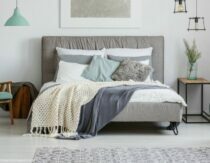 I saw your post on The Healthy Home Economist. I am going to try this! My husband and I have been oil pulling and notice brighter, shinier teeth, but I think your trick will take us over the top! Thanks, and you have a new viewer. So nice to “meet” you, Michelle! Oil pulling definitely has the same effect but it is much more gradual. You should see results from this very quickly! 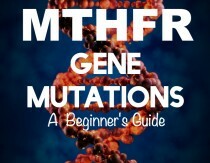 Hi Heather, It is so nice to have found your blog and to meet you! I have been wanting to naturally whiten my teeth for a while now. I confess I bought a junk tooth whitener and have been using it, sparingly, with a ton of guilt cause I read the ingredients 🙁 So happy to now have a natural remedy and I had just bought some AC not too long ago! Please keep sharing all that you are learning…love it! I used to have lovely white teeth. I also used to smoke and drink brown sodas (though I ate decently compared to most), BUT, I saw the light and started changing my families food choices about three years ago. Obviously I don’t smoke anymore and don;t drink much other than water. My teeth have gotten more yellow in the past year or two and it feels like they have gotten significantly worse in the past 6 months while I have been eating lots of chicken broth and brushing with different homemade toothpastes/baking soda. Do you have any idea what might be causing this? Or what causes this in general? Might it be one of those things that happens as your body is healing? I’m only 32 btw. There will be live Q&A opportunities after the presentations – maybe you will be able to get more info there! Hello. So I have had a lot of dental work done which prevents me from doing a lot of whitening treatments. Is this method safe for bonded teeth, fillings, crowns, etc.? I really want to whiten my teeth, but without harsh chemicals and toxins. I also don’t want my dental work falling out. Hi Megan, I don’t see how it could be a problem, but since I am not a dentist I can’t say that definitively. I would check with your dentist to be sure. 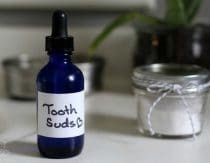 I love natural products and make some of my own but I have to weigh in on the topic of teeth whitening using natural products. As a registered dental hygienist, I would recommend folks consider looking for evidence based research on teeth whitening products including natural ingredients. The small particles of charcoal can get lodged between the margin of the filling, crown, etc causing a gray/black stain. Usually, that margin area is so small we can’t remove the stain. What a waste of money, time and tooth structure to have to redo that dental work. Also, I would recommend folks research the abrasiveness of both regular toothpaste and charcoal/turmeric/etc before making your final choice. If the charcoal is more abrasive than the enamel and tissue can stand, damage may be happening. We cannot “grow” new enamel. It would be a shame to damage the enamel to expose the yellow dentin underneath. Is there scientific evidence showing the natural product is not causing trauma or building up in the tissue causing a disease down the road? As I mentioned above, I love natural products but regularly I see the damage some products (both commercial and natural) do to the oral cavity. Great tips!! I want to know, is this method safe for children of 14 year old? By the way thanks for sharing this amazing post. This is really very helpful for me. I know this is a pretty old article, but I just wanted to comment about your sources. As a scientist, I was interested in reading them, but Source 2 is a broken link while Source 1 risks bias as it comes from a center in support of “natural” dentistry. Stating that using conventional teeth whiteners could lead to “labored breathing, bloody urine, infertility and incontinence” are pretty bold claims to make without evidence to support them. As a point of clarification, I wrote that they contributed to those symptoms in rats. Just wanted to say that I have been doing this for years and it totally works! I used to use white strips but they made my teeth so sensitive. Switched to charcoal almost 5 years ago and always get compliments on my teeth! Heather, any idea as to whether the charcoal will stain crowns? My crowns are biocompatable, and I can’t say exactly what they are made of. But turmeric (our daily cup of golden milk) surely does a number on them! I spend extra time scrubbing them to keep it under control. Used so many things to get the whiter teethes but in vein. 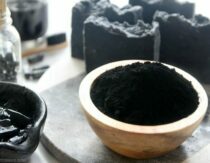 NOW, that i have read you article of using charcoal to get the desired results but i am bit confused with points like how safe it is to use, from where one can get good quality of charcoal and how to use it in right way to get results more fast. Am I the only one that notices how stained her teeth look afterwards? I don’t think it works. I love to do this between professional teeth whitening treatments. I try to tackle really good care of my teeth but unfortunately I’ll never be able to give up my coffee so staining is something I’ll always have to deal with. The best charcoal toothpaste products should be free of things like sodium lauryl sulfate, artificial sweeteners (like erythritol), and fluoride. Be aware of these health-destroying ingredients, as they may render null any beneficial effects you may have by using activated charcoal. Just wanted to say that I have been doing this for years and it totally works! I think that dental hygiene is important to most people specifically fresh breath and healthy teeth. And through activated charcoal and a few more stuff one will be able to get both naturally. 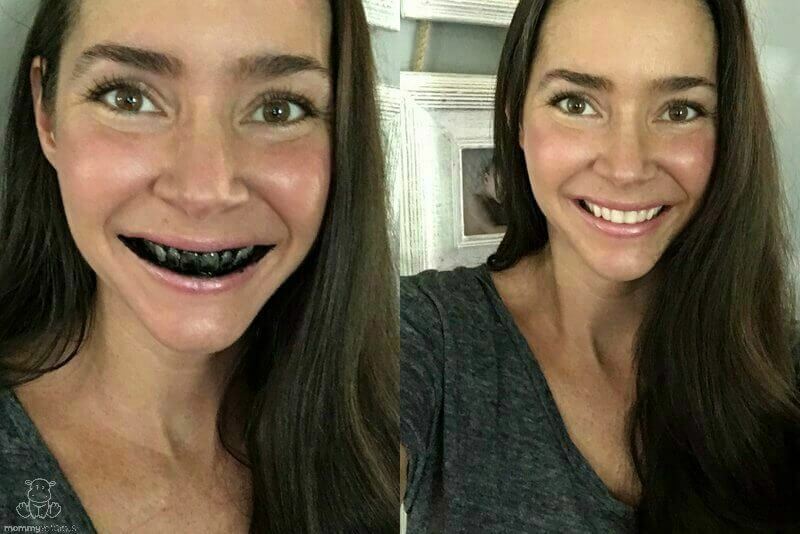 Thank you very much for sharing the benefits of charcoal which able to do teeth whitening nicely. 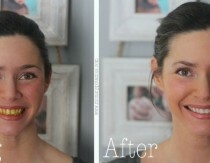 What the charcoal toothpaste does is awesome! I have noticed the difference between the usual one like Colgate, etc and this natural one! I like that you mentioned that by using activated charcoal, it will pull the bacteria away from your teeth and mouth and naturally whiten it. 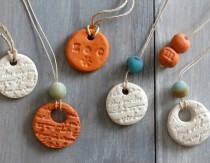 I realize that you get some credit for linking products on your page so that buyers can find them. But since Amazon is a questionable business can you suggest links to smaller businesses that also carry the product? We all vote with our money and I will not vote for Amazon. Hi Chris! I bought my Activated Charcoal powder on Virginic. They are vegan, organic, and cruelty-free brand. Their charcoal powder is great quality and I feel safe knowing that it is the pure charcoal without diluting with other stuff. Would a shot of activated charcoal a day be beneficial?